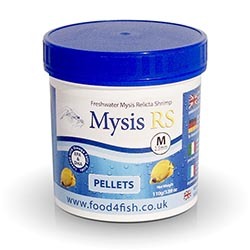 Mysis RS flake is a high quality dry food alternative to frozen Mysis RS. 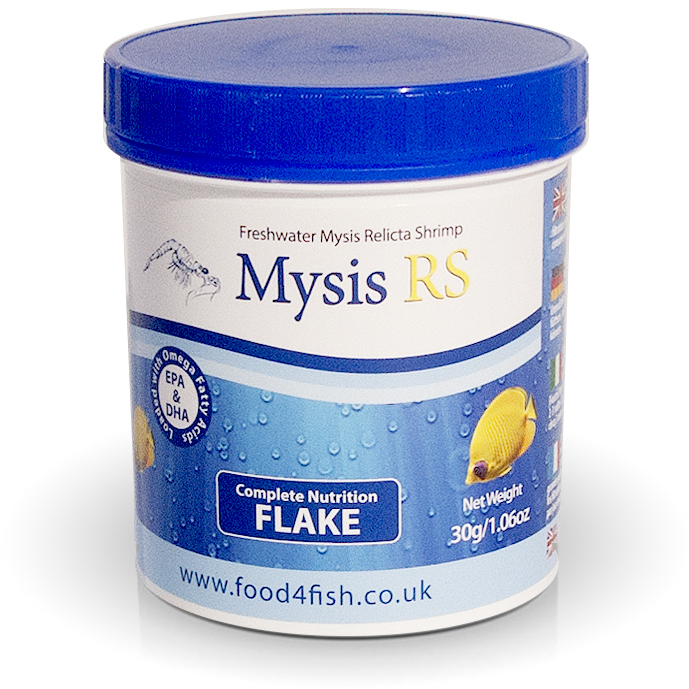 The flake contains all the same high quality fatty acids and proteins present in fresh frozen Mysis RS and an added vitamin and mineral profile. The flake is processed in a unique way that does not damage any of these valuable ingredients and the technique used in this process, sandwiches the ingredients together with a special coating so nutrient leakage into the aquarium is very minimal. Composition: Mysis, Fish and Fish Derivatives, Products and By Products of Vegetable origin, Minerals, Molluscs and Crustaceans, Oils and Fats. Sprinkle the flakes onto the water for surface feeders or pinch the flakes with thumb and forefinger under the water if you require the flakes to sink for mid to bottom feeders. Feed your fish 2 – 3 times per day with as much food as they can consume within three minutes.